Many have scorned the large rear headrests in modern cars. Sure, they’re there for improved neck protection for rear seat occupants in the event of a rear-end collision (their function is as a “head restraint” rather than “head rest”). But they also reduce rearward visibility. My primary reason for disliking the larger headrests is because they interfere with quick folding of the rear seatback. 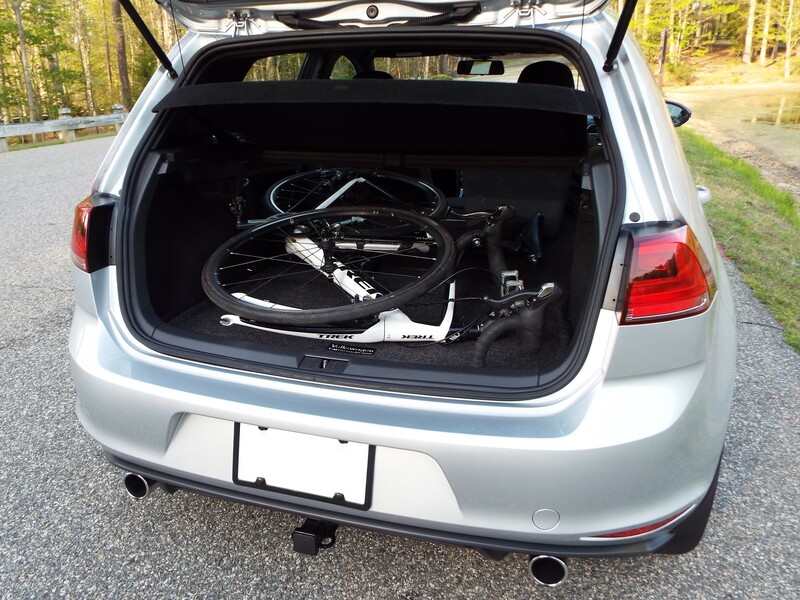 I routinely carry a bicycle in the trunk and prefer that the seats lay down without restriction. I noticed a very light wear mark on the back of the front passenger seat that was caused by the rear headrest rubbing as I folded the seat down (even after adjusting the front seat first). As a result, I wanted shorter headrests so I could lay the seats down without having to adjust the front seats or remove the rear headrests. Call me lazy or call me someone who seeks speed and convenience when carrying a load. I like that I can just unlatch and push the seatback down from the hatchback. I know I’m not alone. 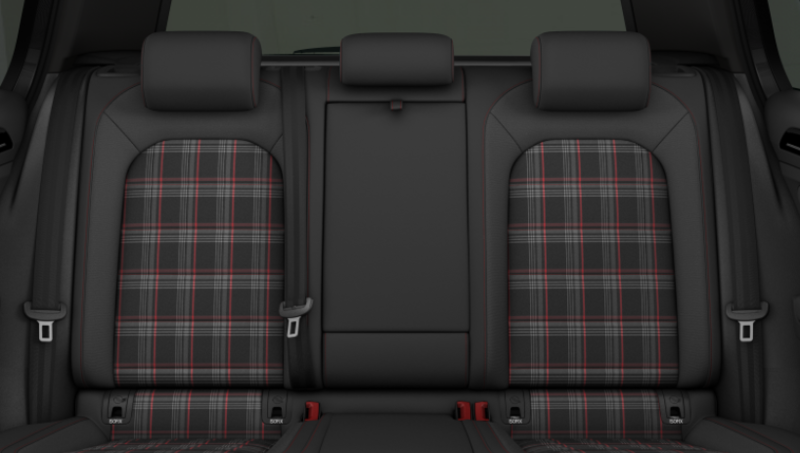 Some remove their rear headrests completely while others pursue the European headrests, which tuck lower into the seatback. Here is a photo of the European headrests. At $370 plus overseas shipping for a pair, I wasn’t quite ready to make the leap, especially since they are reported to be a slightly different shade of gray than the North American seats. I figured I’d order a North American center headrest to match my existing center headrest and then use the pair in the outer positions. I ordered a center headrest from a Mk6 GTI that I thought would work through eBay. It turned out to not be the same as my Mk7 center headrest. However, I thought it was a good compromise for keeping three headrests across the back if I could find another one. I managed to get a pair for just under $100 shipped via two separate eBay transactions. They look good and clear the front seats when I fold the back seats. But there’s a drawback: Center headrests have very short post since they’re intended to clear the hidden center arm rest and cup holder area. Therefore, they cannot raise more than about a half-inch and are probably inadequate for anyone taller than 5’8″. I’ve shared a photo below which shows where each rest meets my head (I’m 6’0″). I could be displeased with the diminished functionality of these smaller headrests, but the truth is I rarely carry passengers in my rear seat. My daughter and a friend ride back there from time to time. The headrests are perfect for them (they’re ~5’6″). I can install my factory headrests if I know I’m going to have tall passengers in the back seat. 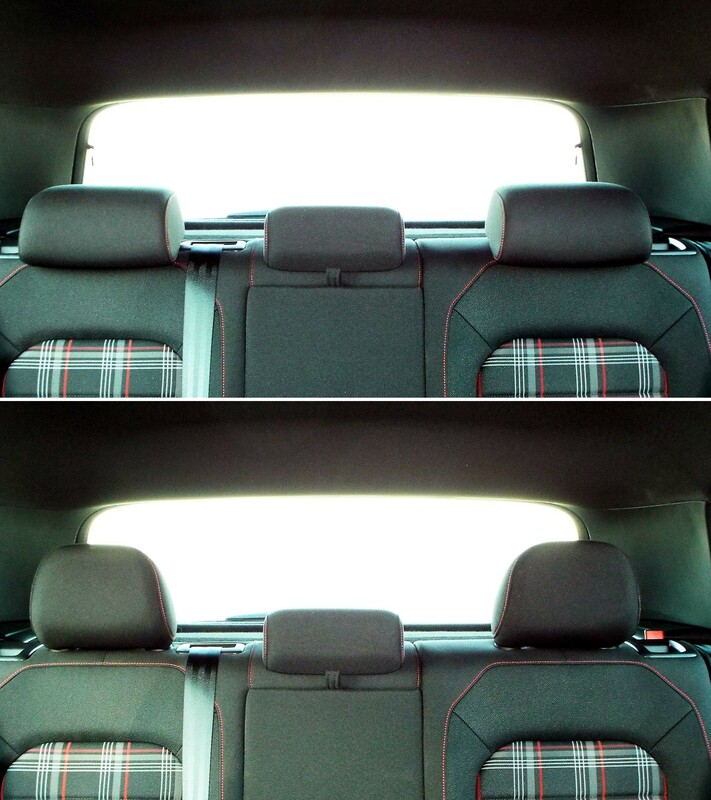 Otherwise, the Mk6 headrests will work very well for folding the rear seat and for improved rearward visibility when the seats are unoccupied. Ironically, this is a mod that I hardly ever notice or think about. I guess that’s the point. I’ve shared more photos in an album below.